After scattering her mother’s ashes in Vietnam, photojournalist Xandra Carrick comes home to New York to rebuild her life and career. When she experiences, in her darkroom, supernatural visions that reveal atrocities perpetrated by American soldiers during the Vietnam War, she finds herself entangled in a forty-year-old conspiracy that could bring the nation into political turmoil. Launching headlong into a quest to learn the truth from her father, Peter Carrick, a Pulitzer Prize laureate who served as an embedded photographer during the war, she confronts him about a dark secret he has kept—a secret that has devastated their family. Her investigations lead her to her departed mother’s journal, which tells of love, spiritual awakening, and surviving the fall of Saigon. 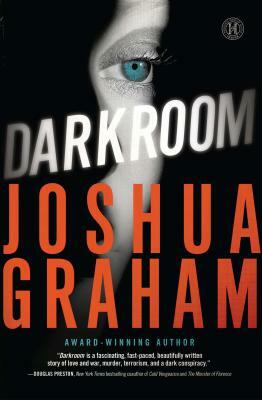 Darkroom is a riveting tale of suspense that tears the cover off the human struggle for truth in a world imprisoned by lies.